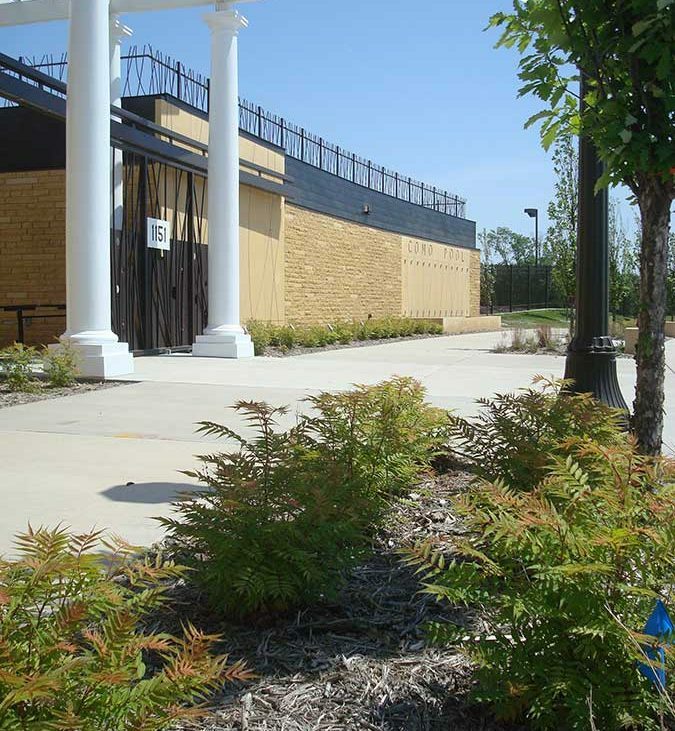 The Como Park Pool is a regional aquatic facility that includes a bathhouse with locker rooms, concessions, support spaces, a lazy river, splash pool, lap pool, zip-line, and natural-themed climbing walls and diving platforms. 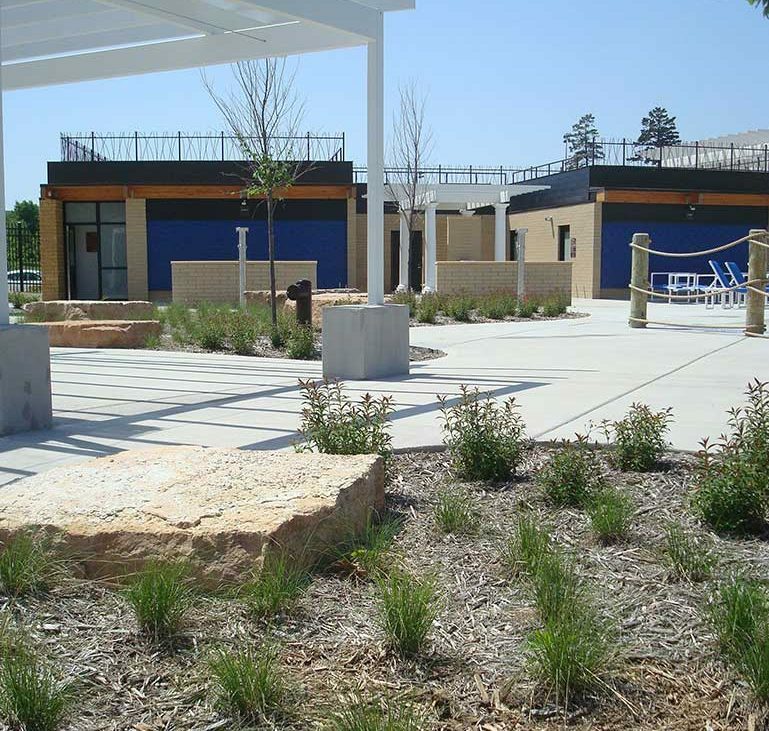 Elements in the park stem from a prior planning study which encompassed demographic and market analysis, a community-wide survey, conceptual design options and their associated construction and operational costs. 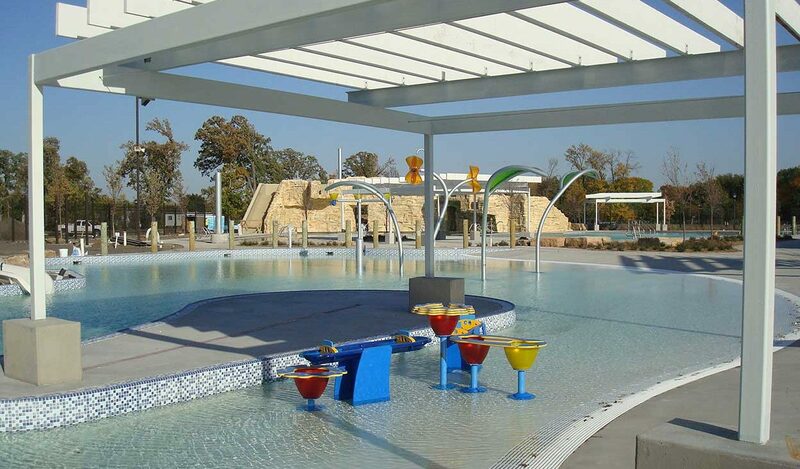 The setting of the pool respects the adjacent park landscape. 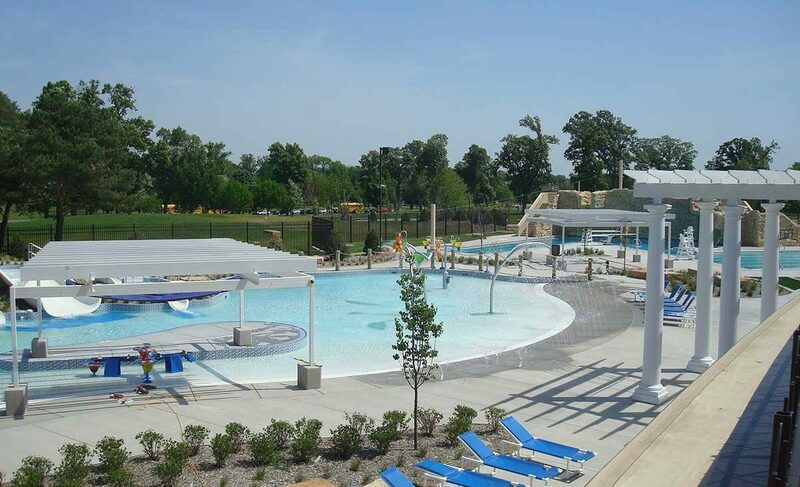 The pool features are low in elevation and heavily landscaped with native plantings and rock outcroppings. The architecture of the pool buildings—clad in stone and ornamental metal work—are reminiscent of historical buildings within the park.